I am in love with these. My boy is so cute when wearing them. I love the little details like the buttons for adjusting the lenght og the legs. Excellent quality and true to size. Yellow childrens overalls. unisex dungarees. boys girls autumn clothing. cotton corduroy. vintage flares. straight leg. Retro baby. Fall. These are even more amazing than I ever imagined! She very patiently answered all my questions too. 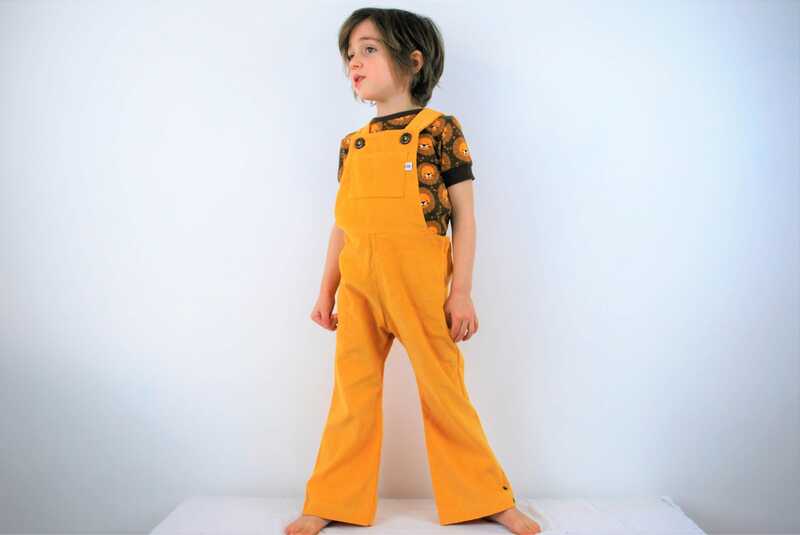 Gorgeous dungarees and beautifully made. A very slick service. The dungarees arrive beautifully packaged. My little boy looks so cute in them!